Quartzite has found its way into the hearts and homes of many over the last decade. Because of its visual similarity to marble, quartzite is Quartzite is a fantastic option to mimic the appearance of marble, but with increased durability, which is better suited for kitchens that experience a decent amount of traffic. 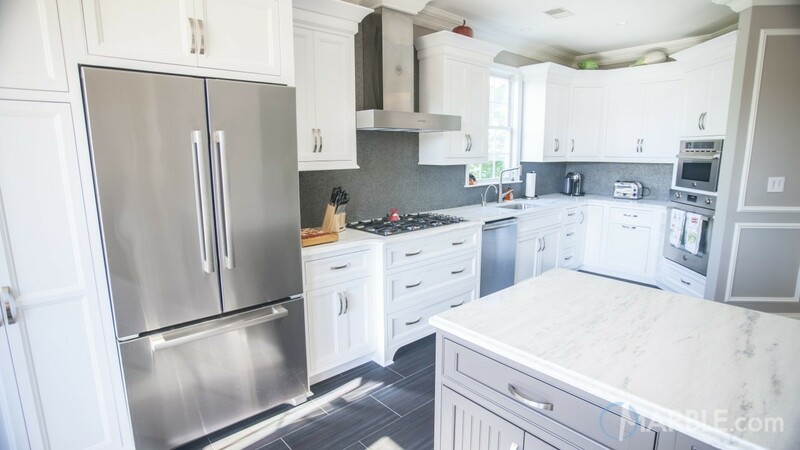 However, despite the love of many homeowners and interior design professionals have for quartzite countertops, there are still some questions about how to properly maintain quartzite. 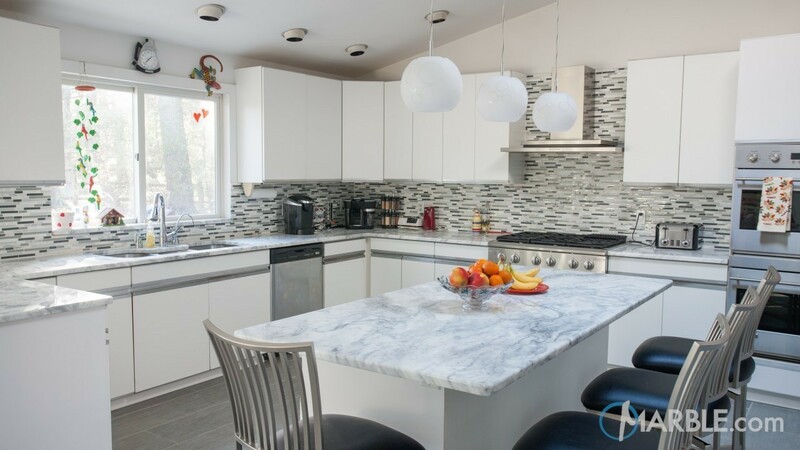 If you’re still debating which countertop material is right for you here’s all the information you need to know about caring for quartzite. A quartzite is a form of sandstone that is formed through heating and pressure under the Earth’s crust. The extreme heat and pressure of metamorphism cause the quartz grains to compound and become tightly interwoven with each other, resulting in very hard and compact quartzite. The natural stone has an organic, glassy luster that creates a striking appearance that’s adored by many home design professionals. 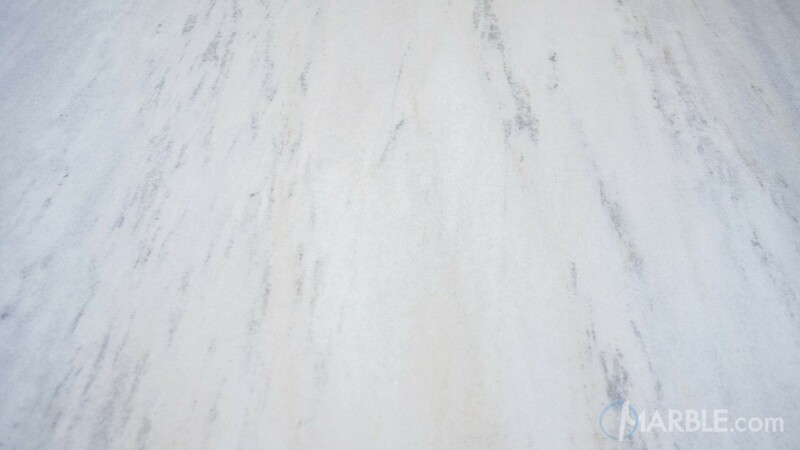 Pure quartzite is primarily white or grey in color, although, many other more exotic shades are available at Marble.com like Emerald Quartzite, Azul Macaubas, and Picasso quartzite as well. Do Your Quartzite Countertops Need to be Sealed? Quite simply, the answer to this question is, yes. While the hardness of quartzite helps it resist etching or scratching, it is still susceptible to staining. However, with bi-annual sealing, your countertop should stay in pristine condition. A stone sealer is the most important step of care to take for your quartzite countertops. Although countertops come pre-sealed, it was eventually wearing away after normal daily use in a few months. To ensure their longevity simply spray a generous amount of our stone sealer over your entire countertop and let it set. It’s as easy as that. One like, Mr. Stone’s Sealer, provides a layer of protection for your countertop that will prevent damaging liquids from penetrating and leaving permanent stains. The sealing process is quick, easy, and lasts for approximately six months, so there’s no reason to fear it! Does Quartzite Need Any Additional Maintenance? Besides sealing your quartzite countertops twice per year, there’s not much else you must do to maintain your quartzite kitchen countertops. Simply cleaning it daily, just as you would any countertop, is enough to earn it a happy and healthy life. Using a dedicated natural stone cleaner like the countertop cleaner effectively removes any grease, oils or other grime left on your counters from preparing meals, kids being kids or entertaining guests.